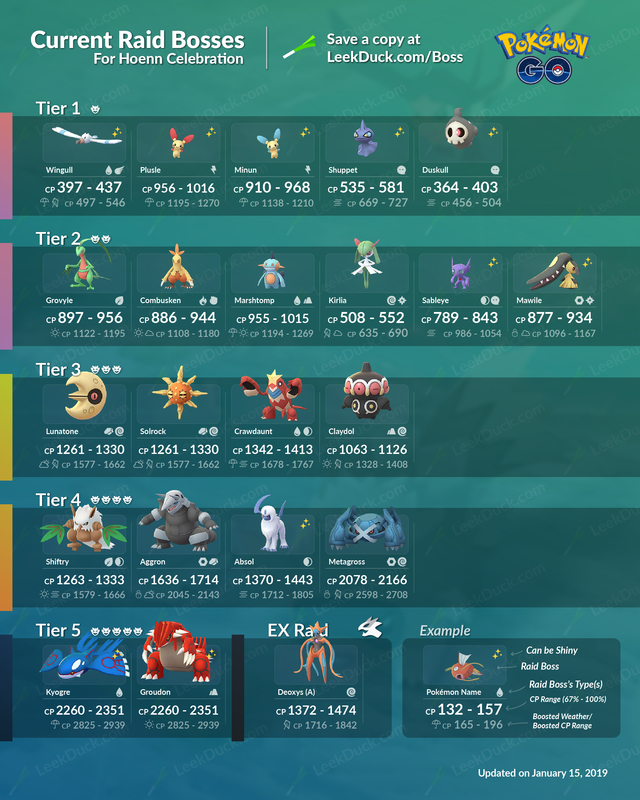 These are the Current Raid Bosses with the start of the Hoenn Celebration. They are themed towards the Hoenn-region with Kyogre and Groudon in Tier 5 Raid Battles.. They are expected to change when the event ends on January 29.